With a rotor diameter of 2.5 meters (8.2 ft) and a peak output spiking over 2,000 watts the Excel 1 is a perfect system upgrade for current owners of solar-only off-grid systems along with light telecom and other high reliability off grid applications. Following the same simple design as the larger Excel turbines, the Excel 1 has been a favorite tool for experienced renewable energy practitioners for over a decade. The recently updated version incorporates the acclaimed American made MidNite Solar Classic 250 multi-voltage charge controller and Midnote Solar Turbine Control box. 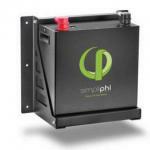 This allows the unit to charge 12V-48V nominal battery banks. A higher voltage stator reduces the required conductor sizing for wire runs making installation more affordable, and a newly incorporated disconnect box makes inspections as simple as a flick of a switch. Marine grade corrosion protection has also been added as a standard feature. BWC offers tilt-up tower solutions in heights ranging from 60’ – 100’. See the customer supplied tower requirements here for proprietary solutions here. 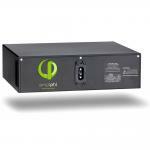 Add capacity and reliability to your off-grid system with this powerful yet simple solution. Output Form: 12 – 48 VDC Nominal.